Monday 31st May 1915: Nurse Gertie Grimmer is still collecting entries in her Confessions Book. Alongside the question and answer “confessions” it now includes many autographs in the form of sketches, jokes, notes and poems. A particularly poignant poem titled “In Memory of a Good Soldier of Christ” has been added by Private A. Walker of the 7th East Surreys, written in loving memory of No.14194 Private George Brewer of the Bedford Regiment who was killed last week. Where Britons heroes meet their foe. Of men becoming beasts again. The best of mankind died today. To find a grave “Somewhere in France”. Private George Brewer, son of James Brewer of Church Hanborough, Woodstock, Oxfordshire was killed on 25th May 1915 when the 1st Battalion were in support near Hill 60. He is commemorated on the Menin Gate Memorial. Chlorine gas was first used at the 2nd Battle of Ypres against the French on 22nd April 1915. 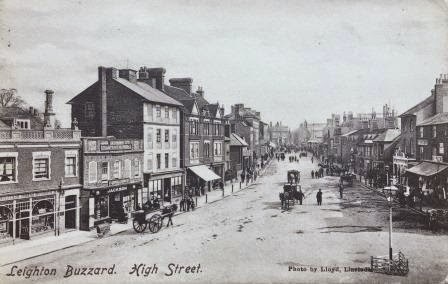 Tuesday 25th May 1915: Mrs. Ella M. Fenwick of Tilsworth has appealed for people in the Leighton Buzzard area to help in providing sandbags for the Front. The appeal originated with Miss M. L. Tyler of Linden House, Highgate Road, London at the encouragement of her soldier brother. Although Miss Tyler is already receiving thousands every day, the “supply required is endless”. Mrs. Fenwick has published instructions for making the bags, which must be made from hessian and of a uniform size of 33 inches by 14 inches. She has pattern sandbags which she can lend to anyone who wishes to make them and will send the finished items on to Miss Tyler. Hessian is available for 4¾d to 5¾d per yard and Mrs. Fenwick would also be happy to receive donations to purchase this material for others to make up. The Leighton Buzzard Observer has arranged for a sample sandbag to be on view at H. Jackson and Co., Leighton Buzzard. Source: Leighton Buzzard Observer and Linslade Gazette, 25th May 1915. The recruiters were bemused when Mr Joseph Elliott of Grove Road appeared at the Corn Exchange asking to enlist. He was most disappointed to be turned down, despite having reached the age of 74! Mr. Elliott is convinced that he could be useful in the war. He told the Luton News that “everybody who is fit and willing should be accepted, irrespective of age. Although I am over 70, I would go if they would take me, as I am absolutely fit, and I think I could learn to drive a motor in a very short time”. Unfortunately for Mr. Elliott, the maximum age at which anyone can be accepted even for non-combatant service is 63. The would-be recruit spent twenty years in South Africa, where he took part in the Boer War about which he says “we had £1 a day for that, and good food and two drinks”. He also spent three years driving express goods trains between London and Crewe. Thursday 27th May 1915: The funeral of Rifleman Bertie Whittemore, aged 25, is to be held at Luton this afternoon. Rifleman Whittemore was the son of Mr. and Mrs. Walter Whittemore of King’s Road. 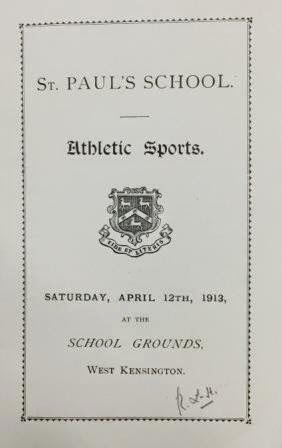 A former pupil at Surrey Street School. he was a member of the Wesleyan Central Mission Brotherhood. Before joining the Rifle Brigade he worked for a some time for Mr. John Bull in Hitchin Road. He served with the Brigade in India and Egypt for eight years and returned to England with his regiment at the beginning of the war before being sent out to the front. Over 9th and 10th May almost the entire battalion with which he served was mown down as the regiment suffered terrible casualties at Aubers. Private Whittemore received terrible wounds from shrapnel. He would have been killed outright but a tin of cigarettes, which was itself smashed by shrapnel, protected his heart. He was taken to hospital at Sandgate, Kent, and died last Saturday. 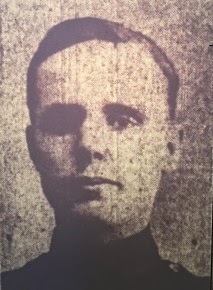 His father and brother were able to visit him in hospital; Rifleman Whittemore was unable to do more than whisper, but said he hoped to be home in two months. The Mayor has arranged for the funeral to take place with full military honours and Private Whittemore’s body will be conveyed from the King’s Road to the Church Cemetery on a gun carriage supplied by the 4th Staffordshire Battery, 2/3rd Brigade, North Midland Royal Field Artillery. The funeral procession will be accompanied by the band of the 2/6th Battalion Sherwood Foresters and the firing party will be supplied by the 2/7th Notts and Derby Regiment. Bertie Whittemore leaves four other brothers who are also in the armed forces. Private Horace Whittemore has been at the Front with the 1st Bedfords and is now home recovering from wounds. Private Ernest Whittemore and Private Lee Whittemore are both serving with the 1/5th Bedfords. The youngest brother, Seaman Victor Whittemore, aged 21, is in the Navy. He was in action off Heligoland and is now back in barracks after leaving HMS Queen Mary. 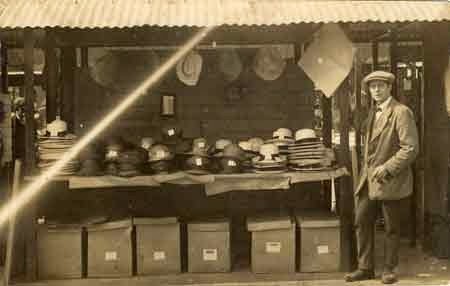 Straw Hats or Khaki Caps? “While not denying that some slackers may be wearing straw hats it is obvious that the mere wearing of the hat does not make the man a slacker, nor refraining from wearing it change his nature. Further, there are hundreds of thousands of men either of military age, or under military age, engaged in the necessary services of the Community, who may be deterred from wearing what is obviously the best and most hygienic headgear during the summer months. That this is not the object of the War Office is frankly admitted, but that it will have that effect I am afraid is beyond doubt. I trust, therefore, that you will see your way to withdraw any calculated to still further damage this most important industry”. Tuesday 25th May 1915: The first few days of the 2/5th Bedfords’ recruiting march have not been a success. The first big disappointment was met at Shillington. Although the village has already given the lives of two of its men, there are many who have been slow in coming forward to join the army including about seventy young unmarried men who appear to have little justification for refusing to serve their Country. However, despite the best efforts of the recruiters to persuade them, not a single volunteer came forward. Indeed, the whole day produced only a single recruit. The next day was slightly more successful, with five or six recruits coming forward at Harlington. The quality of the young men in the 2/5th Battalion can be seen from their speed on the march from Barton to Streatley, when they completed 1¼ miles in 22 minutes, despite carrying full equipment and rifles on a very hot morning. 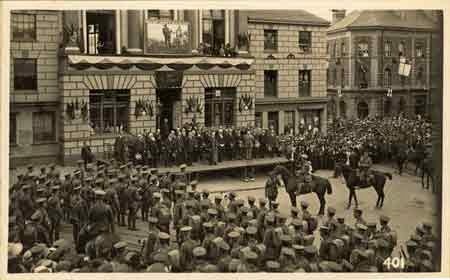 When the recruiting march arrived at Luton on Saturday afternoon the troops drew up outside the Town Hall and were welcomed by the Mayor who wished them a successful visit to the town. On Sunday morning there was a Church parade on the Moor, followed in the afternoon by a concert at Wardown. 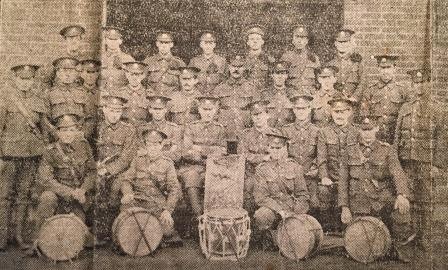 The battalion band was to have given the whole concert, but as they are primarily a marching band and have not been together very long, they contributed only a couple of short sessions to the programme, which was mainly performed by the Luton Red Cross Band. The gathering at Park Square planned for Monday morning was cancelled and the recruiters marched to Caddington where they expected to find about fifteen young men who might be persuaded to enlist. Unfortunately, although they found the men playing football on the green when the recruiters were spotted they disappeared. Although the soldiers pursued them to the cottages and public houses, none could be persuaded to join up. By last night after five days on the road, including three in Luton, the recruiters had succeeded in persuading only twenty men to enlist. Yesterday evening Captain F.W.F. Lathom spoke at the Grand Theatre, Luton and his comments on the poor response received so far triggered cries of “Shame!” and “Conscription!” from the audience. Captain Lathom’s comments on the young men of Shillington and Caddington in particular were extremely caustic. He read out a letter received from a major on General French’s staff which he hoped would make them realise how necessary it was for every man who was able to do his duty to come forward: “The people of England are dreadfully to blame. The apathy, indifference, and levity of the people in England makes the hearts of us who are out here feel sick. One feels as if one was being stabbed in the back all the time – as if one’s worst enemies are one’s own people. It’s awful! 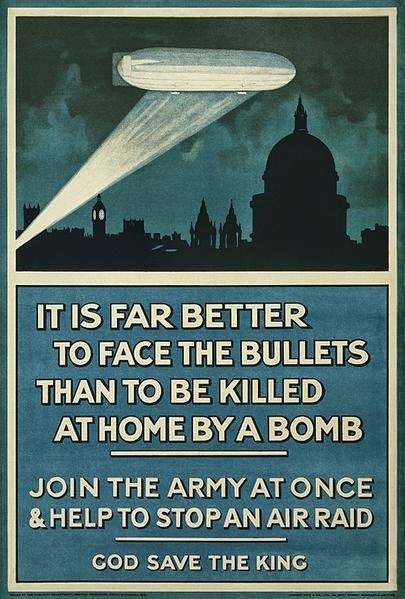 The Derby and Ascot, strikes, and drink at home; bullets, shells, and poison gas here! Can nothing rouse people? Does nobody realise that we are fighting for our very national existence … there are no Derbys in Germany, no strikes, no one with his hands in his pocket and a cigarette in his mouth and a newspaper in his hand … the duty of those directly engaged in manufacturing war material, on building ships, on loading ships, on digging coal, and so on, is plain. So is that of every able-bodied young man who is medically fit to enlist”. Captain Lathom’s passionate appeal, which was repeated at other places of amusement, met with some success and by the time the marchers left Luton this morning the number of recruits had risen to thirty-eight. 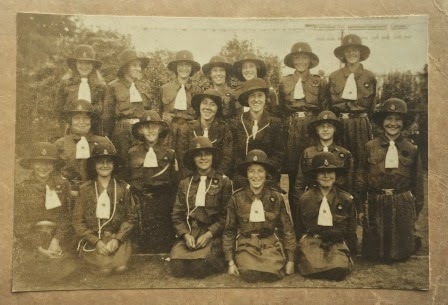 Monday 24th May 1915: The Bedford Companies of Girl Guides were kindly permitted by the District Commissioner Mrs F. Jean Trustram Eve to hold their first public parade in the garden of “Rushmoor” in Shakespeare Road this afternoon. The Girl Guides were founded by Lord Baden-Powell in 1910 and the movement was started in Bedford at a patriotic meeting for girls last November. Four of the five Companies which took part in the parade came from this initiative, and the fifth is attached to the Y.W.C.A. There are now 133 Guides enrolled, and 114 have passed their tenderfoot and are now official Guides. Of these 99 took part in the parade, together with 13 officers. The Companies marched onto the parade ground at 3pm in a hollow square formation and were inspected by Mrs Trustram Eve, accompanied by the Companies’ officers. Following the inspection each Company in turn performed a drill in the middle of the square. The Commissioner then gave a short speech on the Girl Guides’ motto “Be Prepared” and just how important this was in order for everyone to do their part in the War. She explained the different badges which can be earned and announced that it was hoped that there could be an outdoor camp on the next Bank Holiday with campfires and cooking competitions. The Companies then marched past the Union Jack at the salute and were given tea on the other lawn. Most of the Guides were dressed in their uniform, which is a dark blue skirt and blouse, a brown belt, a blue tie, and a dark blue felt hat. Each patrol is named after a flower, which is embroidered on the pocket, and the Company number is added to the shoulder strap. Not all the recruits have yet received their uniform, and some Companies do not yet have sufficient funds to buy their belts and other equipment, but considering how short a time they have been running they have done extremely well to look so smart. Mrs Trustram Eve has issued an appeal for funds to support this fledgling movement. She says that the girls are encouraged to pass tests in ambulance, cooking, dressmaking, path-finding and many other useful accomplishment. The keen sense of competition between the companies ensures that all members try to avoid untidiness and other forms of slackness. While the members are doing their best to raise funds for their immediate needs, help is needed to meet expenses such as the hire of halls for drill and subscriptions are sought from all who have the welfare of girls at heart. The Girl Guides were founded in 1910. The BLARS catalogue for the Bedfordshire Girl Guides collection (reference X698) says that Girl Guiding first took root in Bedfordshire with formation of the 1st Luton company which was registered at Guide Headquarters on 11th May. This article makes it apparent that Girl Guide companies existed in Bedford from November 1914. Sunday 23rd May 1915: Miss Margaret Woodward of Pavenham has received a letter from her brother Ernest, who is serving in France with the Northumberland Fusiliers. Ernest joined the 3rd Battalion of the Bedfordshire Regiment as a band boy at the age of 14 in 1900, transferring within a few months to the current Regiment. 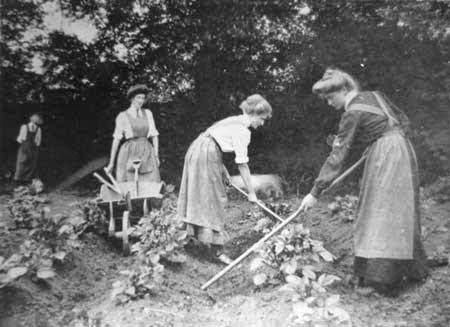 It seems there has been some family difficulty between Ernest and his sisters over the allotment from his pay which Ernest himself does not understand. He assures his sister he is not “making a fool of her” and asks that she will “give me some information and allow me to speak, please write me in answer to this letter and tell me all”. Ernest enquires after the health of their mother, who has been ill, and says rather bluntly “I don’t hear much about your young man now. What has become of him? Deserted you or what?” It seems unlikely this comment will bring about much improvement his sister’s attitude to him! He is optimistic about the war, saying: “We are still having beautiful weather out here, and the trees etc. are looking beautiful. It’s just like being in the beautiful country at home, only for the wickedness of the war. I think it will soon finish now. The gas is about our worst enemy now, and still that cannot beat us”. Saturday 22nd May 1915: Since the end of the football season Luton Town’s players have dispersed. As the Football League is to be suspended next season it is not yet known when the club will reassemble. We heard in December how eight players had joined the Footballers’ Battalion but had been released to play for the club until the end of the 1914/5 season. Seven of these continue to train with the battalion but the eighth, Robert William Frith, has been admitted to the infirmary to have two toes amputated. Other players have returned to their previous trades. Mitchell, Potts and Macfarlane are all doing Government work; Mitchell and Potts have remained in Luton, at Kent’s and the Diamond Foundry respectively, and Macfarlane has gone to Tyneside. Robinson and Rollinson have both returned to their old trade at Sheffield. R. Abbott, Chipperfield, Sidney Hoar, Bob Hawkes and Fred Hawkes are all still in Luton. Billy Lawson, the club’s trainer and the source of our information, is doing massage work and would be happy to obtain more. MEN, JOHN THE NEW BATTALION. MOTHERS, LET YOUR SONS GO. ALL JOIN IN AND HELP. The march is scheduled to take 22 days and to cover a distance of 226 miles; the soldiers will be billeted in the towns and larger villages and will visit the smaller villages en route. It is scheduled to end at Bedford on Friday 11th June. Those wishing to enlist need not wait for the recruiters to arrive. They can sign up at any time either at the Luton Corn Exchange, where recruiting officers have been located, or at the battalion’s headquarters at 46 Gwyn Street, Bedford. 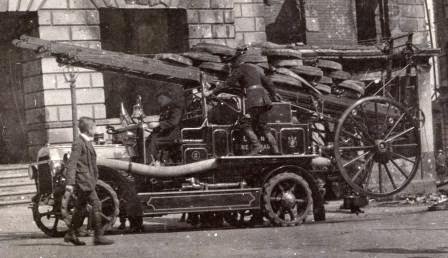 Wednesday 19th May 1915: The Luton Fire Brigade were called out this afternoon to a fire in a military stables occupied by the 4th Home Counties Brigade Ammunition Column. 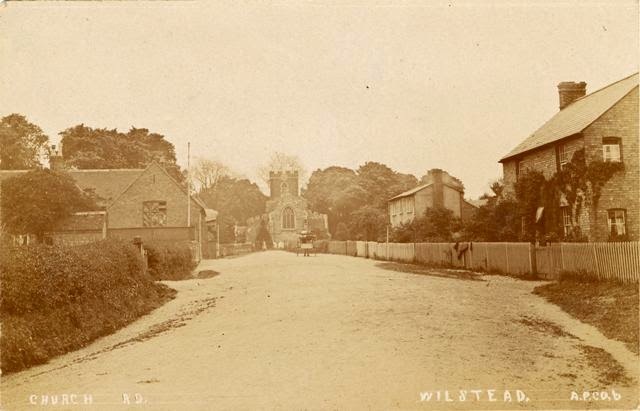 The stable, opposite the Steam Laundry in Dunstable Road, was well alight when the motor fire engine arrived. When the fire broke out in the forage stores there were twenty horses in the stable; two of these were burnt to death. The rest had been rescued by the time the Fire Brigade arrived, but unfortunately two other horses had suffered such severe burns that they had to be destroyed. Four more were badly burned. Dear Sir With reference to your letter of May 9th. You are in a very happy position if you have been told that any suitable buildings can be taken if the existing Hospital accommodation is insufficient. I may at once point out that there is no existing hospital accommodation in this County and what we have to do is to extemporise some. Practically every suitable building is in occupation of the troops. The fact of being told that the troops may vacate these buildings is not quite good enough for me to give you any definite undertaking. The following buildings may be used and you can send your wounded there. I suppose you will be able to give us at least 48 hours notice. Luton: The Infirmary at the Union House, Dunstable Rd; Tennyson Road, County School; Coutts and Co’s Factory. We would as far as possible have beds etc., but the accommodation would be and must be rough. We cannot fit up these buildings now in anticipation of what may happen and what if it does happen will come very suddenly. I will in due course directly I hear from the various Commandants give you approximately the numbers that can be placed in each of these buildings. “I called together the whole of Dr. Tischbrock’s senior German class on Saturday (May 15th) , and asked questions on two points. First, I found that Dr. Tischbrock has certainly never attempted to force “pro-German” views upon the class. He has indeed rarely spoken of the War at all; he expressed great shame when Reims Cathedral was bombarded, and condemned it as a wicked crime; he has said that the War is one of his greatest sorrows. I can hear of no further references. Sunday 16th May 1915: This weekend Bedford has seen its first anti-German demonstrations. The first took place on Friday night at the Crown Inn, at the junction of Cauldwell Street and Britannia Road. 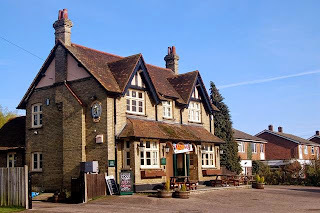 The landlord, Mr Kasteleiner, although born in Germany is a naturalised British subject and has been the licensee of the Crown for around thirty years. His wife is believed to be of English parentage. 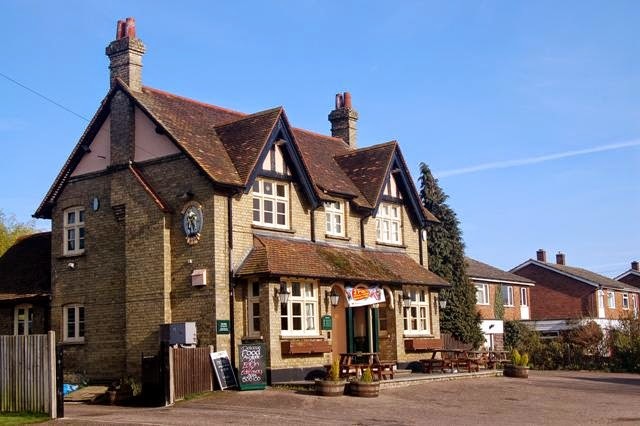 Rumours passed around the town yesterday that the public house was to be attacked, and the demonstration began soon after nine o’clock. Windows and furniture were smashed, a slot machine was broken up and the money taken, bottles of whisky and cigars were thrown out, and the buffet at the back of the bar was destroyed. Part of the wall adjoining the pub was pulled down and the bricks used to carry out the destruction. Furniture elsewhere in the downstairs rooms of the house and other articles were carried away by bystanders. A piano was overturned and badly damaged. By the time the police arrived there was little they could do; order was not restored until after midnight. Last night a second attack took place, this time on the premises of Mr. A. Scheuermann, a pork butcher, at 13 Tavistock Street. 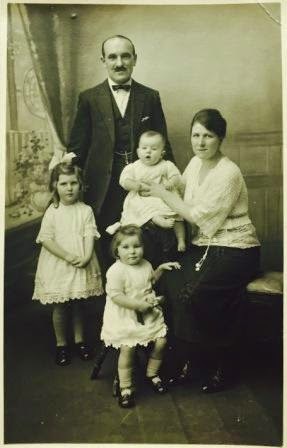 Mr. Scheuermann is also a naturalised British subject; one of his sons is with the British Expeditionary Force in France and his daughter is a military nurse. Although soldiers were on duty outside the shop the large plate glass window was broken. The crowd rushed the shop but were held back by the soldiers. Reinforcements were sent who closed off that part of Tavistock Street and prevented further damage. To work as shop assistants, in clerical work, or any other work which will release men to fight. To work in agricultural districts. For farm work, dairy work, leather stitching, brush making, clothing machining, light machining for armaments etc. In ammunition factories and clothing factories. The N.S.L. Secretary at Headquarters is watching this experiment with the Labour Exchange with great interest and has asked for a report on the results. “I read in the Luton News yesterday about the strike at the Skefko Works, and I think they should be sent out here and put in the first line of trenches, without ammunition, and the Germans ought to send their gases over them, to see how they go on then. They would never want to strike again. They cannot guess how things are out here. If they could see the poor refugees in this place flying from place to place for safety – old women being carried away on barrow, and babies in arms – they would understand what we are fighting for … If you could only hear what the boys say about the Germans out here you would say that we have hearts like lions. It doesn’t matter what we lose or what we gain, we go in for it, meaning to do better every time I wish you could hear what the boys said about the girls going on strike at Kent’s. They said they would like them out here for a week”. Thursday 13th May 1915: A Leighton woman has written home describing her experience at the Red Cross Hospital in Southend during the Zeppelin raid which hit the town early on Monday morning. 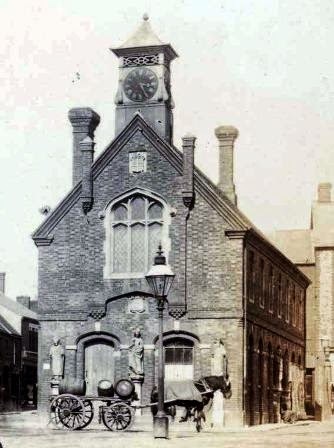 Wednesday 12th May 1915: Lance-Corporal John James Halse of the 2/4th Leicesters, a soldier billeted in Luton has appeared at Luton Borough Court today charged with stealing a postal order of the value of two shillings. Lance-Corporal Halse has been employed as a regimental postman, whose duty was to collect letters from the General Post Office and distribute them. Complaints had been received that letters were going astray and Halse came under suspicion. When his belongings were searched an opened letter addressed to a man in the Lincolnshire Regiment was found. The letter contained a postal order marked Grimsby. Lance-Corporal Halse pleaded guilty and admitted stealing other postal orders. A Lieutenant appeared as a character witness, saying Halse was previously of good character. The guilty man asked for leniency, explaining that he had previously fought in the Boer War and wanted to get to the Front. However, the Bench took the view that the breach of trust was of such a magnitude that prison was the only option. Halse was sentenced to one month in gaol with hard labour. Tuesday 11th May 1915: The Prisoners’ of War Help Committee has sent out an appeal for help to meet the needs of British soldiers now in German prison camps. A local Committtee has been set up which now has a list of the names of all Bedfordshire men known to be prisoners of war. The Committee has asked for helpers to send food and clothing weekly or fortnightly. 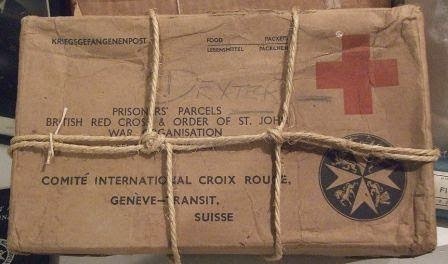 An incentive for donors is that no charge is made for delivery of these parcels, regardless of weight. Any packages weighing less than eleven pounds will be sent through the General Post Office, with heavier parcels being carried by the American Express Company. It is understood that when sent through the correct channels nearly 99 out of every 100 parcels sent are received by the addressees. It has also been suggested that food depots should be set up throughout the county to which gifts could be taken. Volunteer ladies would then package the goods ready for delivery, and where money was given rather than items they would use this purchase whatever was required. Monday 10th May 1915: After last week’s terrible news of the sinking of the RMS Lusitania off the coast of Ireland  it now appears that two Luton men are among those lost. Thomas Edward George Bodell, the son of Mr Thomas Bodell of Clarendon Road, Luton, emigrated to Canada ten years ago and was returning to Britian for the first time. He was travelling with his wife and their two year old son. None of their names have appeared on the lists of survivors and it must now be assumed that they are among the victims of the disaster. Mrs Bodell’s brother has travelled from Cardiff to Queenstown in Ireland to try to identify his sister and her family, but so far without success. Thomas Bodell attended Waller Street School in Luton. He then served an apprenticeship at Hayward, Tyler and Co. and worked in London for a time before leaving for Canada, where he went into business as a brass and electrical fittings maker in Toronto. He was a former secretary of the Luton Amateur Football Club. His father says his 33 year old son had disposed of his Canadian business and was returning to England with the intention of enlisting. 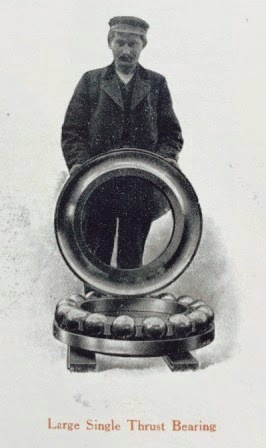 Mr Robert E. Dearbergh, who was travelling as a saloon passenger on the Lusitania, is also believed lost. His brothers carried on one of the leading plait businesses in Luton for many years, although he himself has lived in New York for some time. His brother, Fred Dearbergh of St. Albans, has also travelled to Queenstown but has found no trace of the missing man. Mr. Dearburgh, a bachelor aged 52, last lived in Luton some twenty-five years ago. A well travelled man, he was considered an accomplished linguist. He was returning to Britain to place his abilities and experience at his country’s disposal. 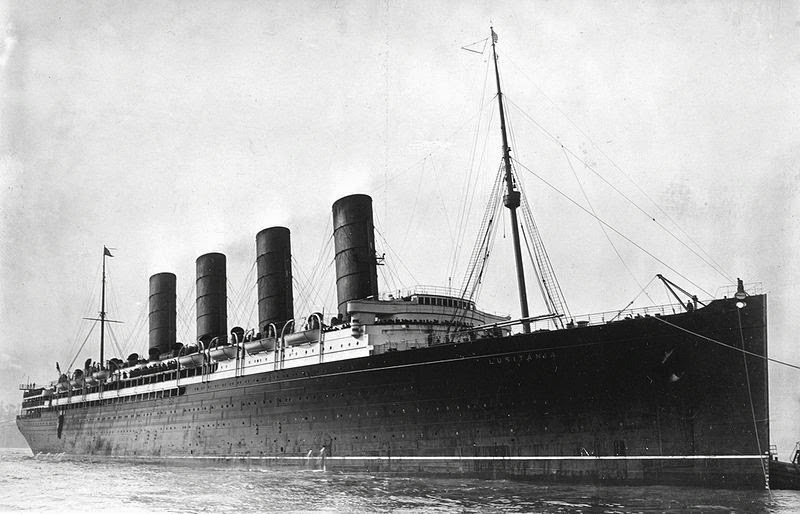 The Lusitania was torpedoed on 7th May 1915, with the loss of 1201 lives. More about the sinking of the Lusitania and the Lutonians lost in the disaster can be found on the Luton WW1 website. From leaf-fringed windows, one of quiet mouldGazed long at those white chronicles which toldOf honours that the stately School had known. Would ever grace the walls in letters bold. But on the hilly sun-baked Chersonese. Live Stock – cattle, sheep and horses not required for transport are to be driven to Wilstead, enroute for Haynes, Millbrook and Woburn Sands. The man in charge should select a staff capable of driving and also destroying and rendering unfit for human food any animals the military requires to be destroyed. Horses fit for transport should be collected at the village centre. Tools – the man in charge will require a staff with axes, ropes, saws, picks and spades for felling trees, making roads, filling ditches, collecting and fixing barbed wire or such other duties as the military may require. He will need to work closely with the man responsible for transport; together they should load up tools and wire and take them to the nearest centre. Transport – all transport material should be collected at the nearest centre. Where required this should be loaded with items collected by the man in charge of tools. Food Stuffs – a staff must be found to burn and destroy any supplies which are ordered to be destroyed, or to load such supplies as may be required to be moved. Owners of motor cars and motor cycles should be asked to bring them to the nearest County Police Station, with as much petrol as they can carry. Mr Whitchurch wishes to be advised of the number of Boy Scouts or Special Constables required in addition to the local staff, who should be used as much as possible. The village deputies have been asked to impress upon the farmers the need to brand their stock for identification purposes.